I noticed this too. It seemed to only happen when I took it out of my Avenger. The only way I could get rid of it was by Requesting the Vehicle. So when was it possible to test the cars without the flags, I made a brief impression on Next DLC topic about the new cars and i said that the result in the hands of professionals like Oleg would surprise, This video came 4 months later, but what it said came true. Supers: Apart from the Taipan that does not add much for the class, Entity XXR would be between Nero and FMJ, Tezeract would be between Autarch and Tempesta, Tyrant would be the new king. it is correct on digital speedometers and the comet speedometer (and all the other cars that use it). Just so everyone is clear, I merged the two topics and added the poll to this one. I transferred all the votes over so it should be exactly where it was at. Also did some cleaning up in the OP, title, poll, etc. That's just it, I had not engaged hover mode and it was struggling just like my Ellie and GTX. And when it comes to the Deluxo's currently fast ground speed, I would not call that a problem. It has been an issue for that car for a long time, it isn't handling flag related like the other cars we are talking about. Speed is super inconsistent with the Deluxo. Merc, hitman, smuggler, At your service. Just do something with them already, that's unfair that some cars are are broken just because they've been added in the wrong time. Cool. I haven't seen anything about that. I just know last Tuesday I wasn't happy when I was driving it. It's been fine since that night, though. Many people don't know about this. It's as fast as a Nero Custom until you engage hover mode, then it loses all that speed and engine power. To fix it, you simply need to either destroy it, request it again, or switch sessions. When the Deluxo is not broken from the hover mode, it's an absolute dream to drive, and it hits top speed extremely quickly. Thanks for merging the topics, the last time i tried editing a topic with a poll it didn't work, but here it works, everything is fine. 79/100 yay soon ppl can find it via google. They didn't re-brand it as a Karin vehicle, however. It was still a Dinka, even though the Jester Classic is obviously a Toyota Supra. But, I guess inaccuracies are considered a thing for them. Bring back mid-drive speed boost! Only 14 more are needed it's at 86/100 atm. Come on ppl, pls sign the petition. By making a jetpack and flying Harry Potter bike/car. I think if they wanted anybody to take this seriously they'd patch the 6 year old wall breaches and similar known issues and come up with content that didn't appear specifically targeted to pre-teens. That said, interesting topic. I had been away for a while and haven't bought any of the new cars, of course I really don't drive more than a handful of the ones I own already, but good to know I'm not missing anything by sticking to my old standbys. I never did wallrides with cars tbh, but good to know. I signed the petition These flags are total BS! 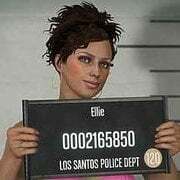 I sold Ellie, Dominator GTX,Nightshade and Tampa ,because there so slow.Phoenix,Ruiner,Vigero are faster and of course The Dominator and it's stock car version. Willard Faction needs fixed R* needs to quit being lazy! no other vehicle in the game flips by bumping a curb it makes no since. Find new way for balance cars! The Ellie and GTX have poor top speeds to begin with, so the removal of the flags won't change that, but they will be quicker indeed. The Nightshade and Tampa aren't even affected by the flags. And yeah, the Faction needs to be fixed. 92/100 almost done come on only 8 more ppl are needed, then it can be found via google and on the change.org website. Remove completely and take 50 lashes for implementing them in such an annoying, random manner. I may or may not have several personalities.. I tried signing it again but it didn't work. My virtual John Doe and my real name are somehow connected in there no idea how.